Posted on October 1, 2015 by Matt Frazier / This entry was posted in Informative and tagged glass, pipe, water pipe. Bookmark the permalink. Newcomers and champion smokers alike flock to glass water pipes for what is commonly associated with the smoothest hit possible, but just how do these wonderful, intricate pipes go above and beyond to benefit your smoking? Choose from many shapes and sizes! 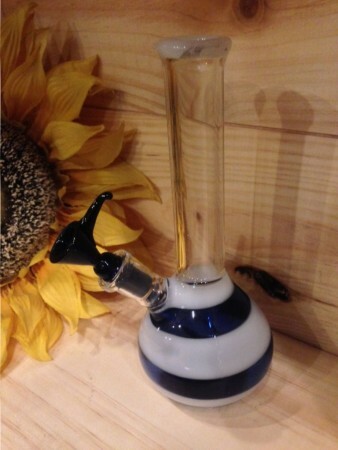 This bubble beaker shape, seen on the Striped Water Pipe, is a favorite of many here at Sunflower Pipes, and doesn’t need much water to get the party started! 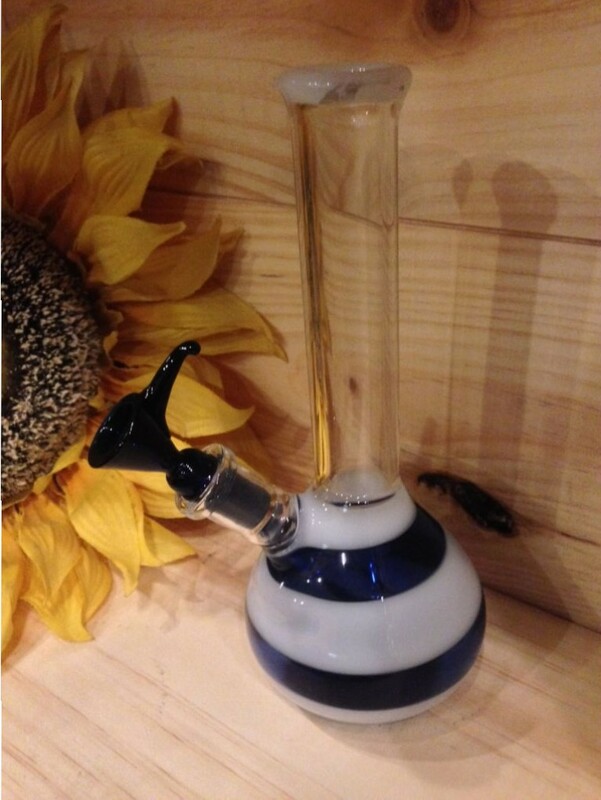 The sturdy bowl also offers a handle which allows you to easily pull up when you’re ready to inhale! Vapor first accumulates, as the water bubbles at the base of the water pipe, as your create a billowing vortex of smoke to inhale. Depending on the shape, size, and composition of your piece, the next step allows you to hold the control of your hit. This method has been sought out often, including the good ol’ days when two liter soda bottles and a kitchen sink were sufficient. Our team can assist in finding the perfect one for you to get your collection looking and feeling its best! With a piece like this, you can easily utilize Hempwick to ensure your bowl remains long lasting and never wasted! 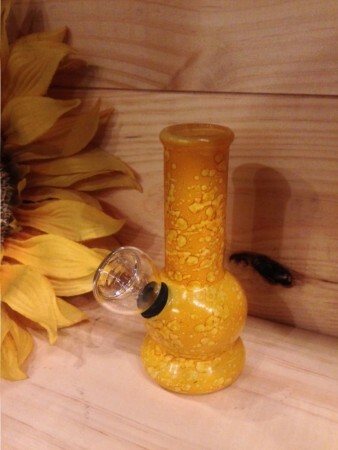 The Small Yellow Water Pipe has a look as slick as marble, and a durable grip that will easily avoid drops! 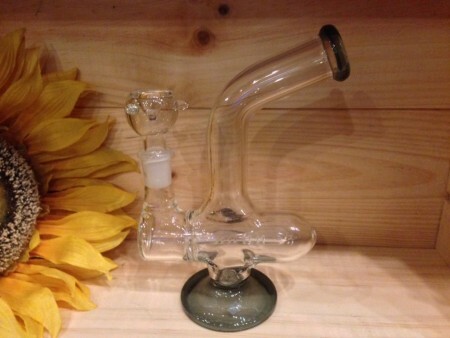 The selection of water pipes at Sunflower Pipes showcases the range of options you have when choosing a new piece. From ice catchers, which cool down the vapor the moment you inhale, to filters, which are detailed below, there’s never been an easier way to ease up on your hit without breaking the bank! Our small to mid-size water pipes offer a petite, portable, but sturdy option that come in a variety of colors and shapes. As you scale up into the larger range, you’ll find reliable tree and honeycomb percolators that are perfect for ensuring no ash will pull through to clog your piece. These also offer fantastic, durable double blown glass that provides strength to the grip, and ensures a heavy table piece. While clear glass is the classic look, we also offer a variety of colors, so you can express yourself all the way down to your water pipe. The Storm Trooper has quickly proven to be one of the most popular choices, and the iconic “Star Wars” look is one you’ll immediately recognize when you feast your eyes on it! Further spice up your water pipe with one of our character bowls, including Walter White, Yoda, Hulk, and more! Standard size 14mm and 18mm bowl pieces allow you to easily convert your water pipe into an oil rig; switching from herbal to concentrates has never been easier!